About SAVO - savo-kids's JimdoPage! 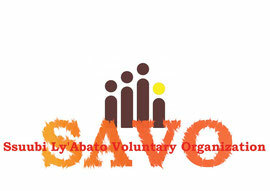 Ssuubi ly’Abato Voluntary Organization (SAVO) is a vision of Mutyaba Moses and other committed individuals towards the life of street children, orphans, youth and other vulnerable. Moses was born 2 months after the death of his father and by then his mother was just a young girl of 17. After his birth and being that his mother was just teenager abandoned him to move on with her life while Moses was just 3 years old. Through God’s Mercy he was fortuitously rescued and sponsored to go to a primary school. After that level at the age 13 he became the father and mother of his own. In a clever manner he went to St. Peter’s Secondary School and asked to help the school with some work such as slashing the compound and other duties in exchange for his education. After he got a Uganda Certificate of Education (UCE) in that school which had no further classes, he went to help in the orphanage schools as a teacher where he obtained good experience in teaching and later he went on for a certificate in computer studies (Repair and maintenance). It was here that he felt the desire to continue his vision to help young people in need; people who were suffering the way he had suffered. Moses began his charity work at the age of 15 basing it on the understanding of his own life struggles for living. His story is a big challenge of life and a big challenge to the world, and at the end of it one gets a good education which helps to understand life. 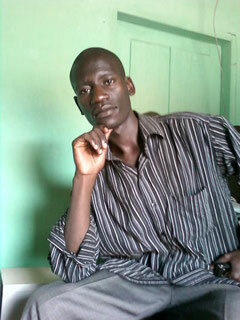 His life gives confidence that his experiences can help to guide the children and youth in his area. In 2010 with other members this wonderful vision was carried on and they all organized for the registration of SAVO as a Community Based Organization (CBO), an endorsement at the District level (Masaka District). The registration status obtained on 13 January, 2011, but also accomplished with a remarkable feat for great efforts from SAVO’s first acting chairperson Ms. Robertina Jeno from Germany and with another great contribution from SAVO member (Japan Representative) Mr. Sato Yosuke from Japan.